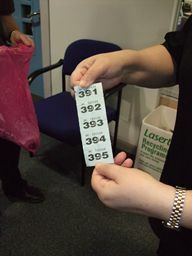 The cog easter raffle draw took place on Tuesday 30th of March in the reception area of Blyth Community Enterprise Centre in Ridley Street, Blyth. 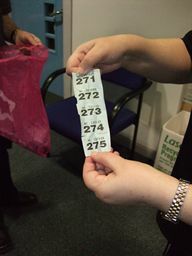 The draw was made by the centre manager Ray Gibb with the help of management committee members Paula Doney and Steve Bradley. A large hamper of chocolate eggs + a cuddly easter toy. A medium sized hamper of chocolate eggs + a cuddly easter toy. A basket of chocolate eggs + a chocolate easter bunny. 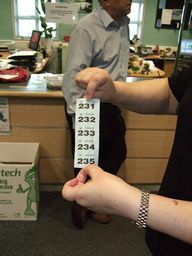 ...created & donated by Lynda Freeman. 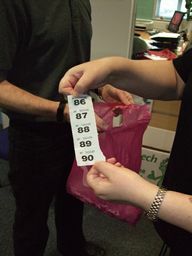 All of the prizes were collected (and probably consumed) within 3 days of the draw.